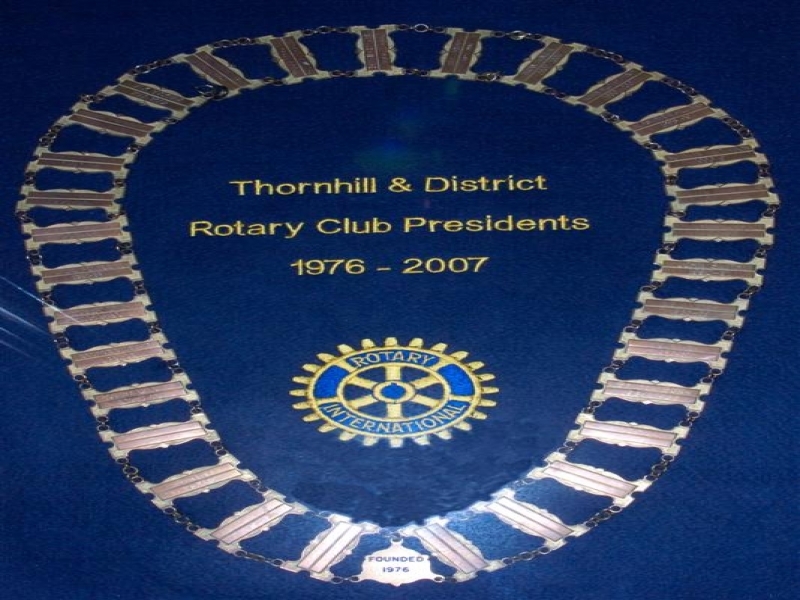 An individual President serves the Club for one Rotary year 1st July to 30th June. The list of Past Presidents is now available together with whatever photo we currently have. Archive photographs and anecdotes of these individuals in any Rotary activity would be gratefully received to improve the Club History. And now thanks to the efforts of Alistair Sillars and Rostrum Embroidery we have the old Presidents Chain, which quite recently become"full up", beautifully mounted and framed.